Doing yogic exercises is the best way to enhance your body's flexibility, strengthen your muscles, boost stamina, erase stress from your mind, get more disciplined and rejuvenate the whole body. Yoga helps in cleaning the whole body, both from inside and from outside, boosting your immune system and keep a check on the health of other organs. It enhances the blood circulation as well as it is a tonic for weight loss, a major problem the whole world is facing these days. Any posture you choose, enhances your heart's health. Most of its postures require you to be stagnant at a particular position with deep breathing. 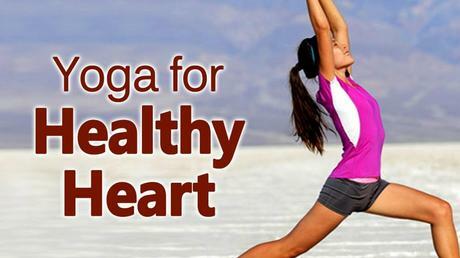 Today we are going to discuss some of the yogic exercises and pranayams that help in keeping the heart healthy. Just like you do namaste, sit cross legged on the floor with your palms together and your fingers stretching out near the center of your chest (heart chakra). This posture represents the harmony of your body's both sides,left & right. Now close your eyes at a snail's pace and inhale slowly & deeply, hold your breath for as long as you can and then exhale slowly. Keep repeating this pattern for a few minutes, the longer, the better. Now close your eyes and inhale slowly & deeply, hold your breath for some time and exhale slowly. This pattern can be done by altering the both legs. Spend some time doing these postures. It will help in retaining heart's health. If you have a difficulty in doing these different postures, take the help of yoga expert. Planet Ayurveda's Heart Care Pack is wonderful in heart related ailments. Take Planet Ayurveda's Heart Care Pack, which is made from the extracts of best quality, herbal plants.